There are few things more spectacular than seeing flowing lava from an active volcano on the Big Island in Hawaii. BUT, if you suffer from asthma or other lung issues, you MAY want to reconsider hiking to the flow. According to the Hawaii Tribune Herald, vog (volcanic fog) doesn’t necessarily cause asthma, but it can trigger an episode, a 10-year study of vog’s impact on Big Islanders’ health continues to show. 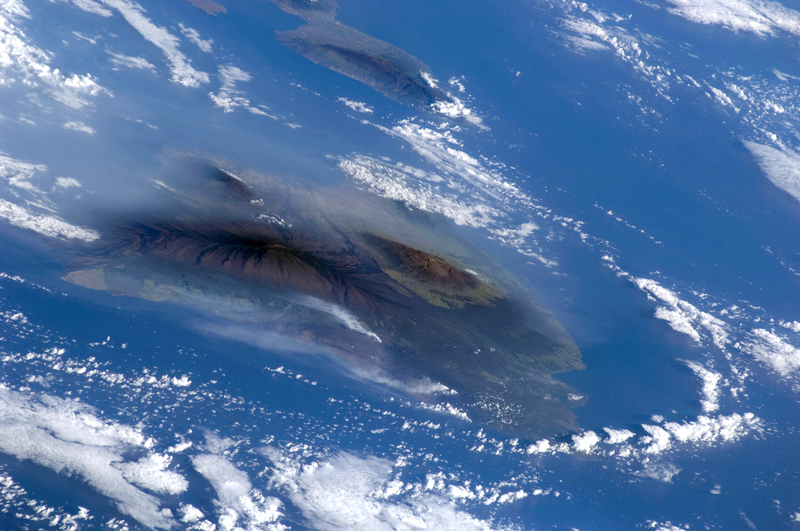 A view of the Big Island from space shows just how widespread the vog can be even on a clear day. Interestingly enough, the rate of asthma isn’t higher in places exposed to vog (in fact, it’s lower), but if kids do have asthma and live in South and West Hawaii, they’re more likely to a higher rate of bronchitis. In Kona, a child is three times more likely to cough than in North and East Hawaii, she said. Coughing is often a symptom of asthma. However, if you’re visiting Hawaii and have asthma, there IS good news: Bernadette Longo, an assistant professor at the University of Nevada at Reno, told reporters that sulfur dioxide levels are lowest between the hours of 10 a.m. and 7 p.m. That means you can be outside and enjoy Hawaii during daylight hours. However, it’s important to monitor how you feel at all times, if you have asthma and are visiting the Big Island. It’s especially important to monitor if you plan to see lava in Hawaii. Vog is formed when sulfur dioxide from the volcano reacts with oxygen, sunlight, dust particles and water in the air to form tiny droplets known as sulfate aerosols, sulfuric acid and other substances. It takes approximately six hours for sulfur dioxide to turn into sulfate, she told the Hawaii Tribune Herald. When the winds are light, the vog often settles in over Kona for what appears as an extremely overcast day. According to the state Department of Health, people with pre-existing respiratory conditions are more prone to be adversely affected by vog, also called volcanic smog. Some symptoms include headaches, sore throats, coughing and wheezing. Normally, vog is carried southwest by trade winds and eventually is trapped in West Hawaii, she said. However, during the winter months and when trades are absent, the vog lingers in East Hawaii. So, what does this mean for visitors to the Big Island? No matter which direction you go, you’re likely to encounter some vog, which could exacerbate your asthma symptoms. So, if you have asthma and plan to see the lava in Hawaii, make sure you take your rescue inhaler with you and have it near you at all times. When you book a Hawaii Jeep Tour on the Big Island, such as the Big Island Off-Roading Tour or the Kona Culture and Coffee Tour, your experienced guide can tell you how the vog conditions will be during your tour. That way, you can take all the necessary precautions when visiting the Big Island. 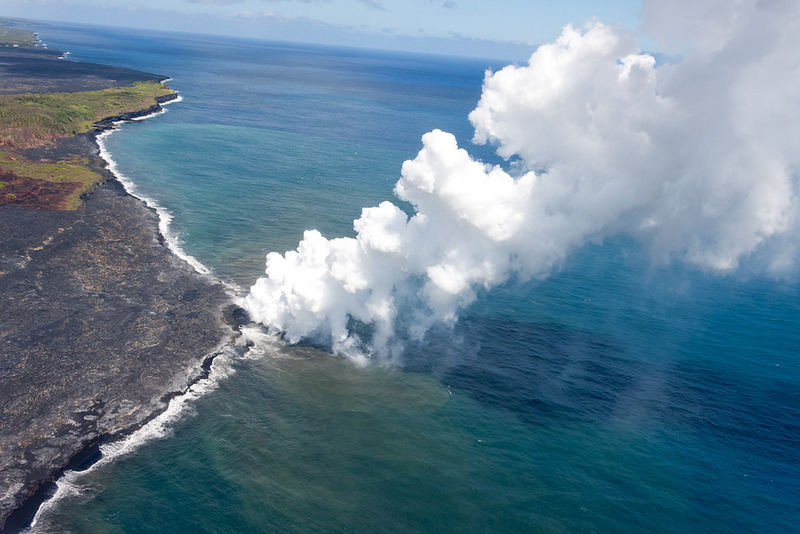 You can still enjoy lava in Hawaii without worrying about your asthma. Just make sure you keep your personal safety in mind and stay informed!